Lighthouse, Bill Baggs Cape Florida State Park. Live Oak, Caldesi Island State Park. Devils Millhopper Geological State Park. 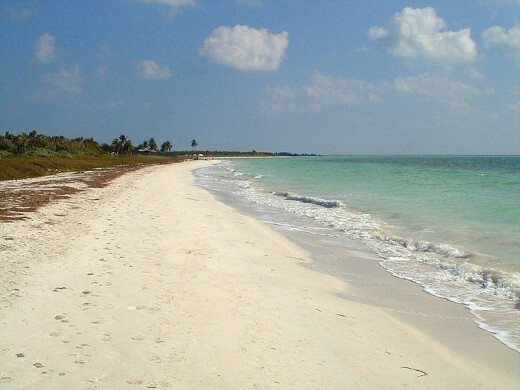 1.Bahia Honda State Park. If this place sounds tropical and balmy that’s because it is. Bahia Honda is a small state park in Florida Keys about two-thirds the way toKey Westnear Big Pine Key. Beautiful beaches seemingly just under the causeway are bordered by various shades of emerald and turquoise waters below swaying coconut palms, Swimming, snorkeling, and diving the coral reef are naturally good choices and popular activities here as well as beach combing and viewing sunsets. The park has camping and is popular. 524 acres established in 1961. 2. Bill Baggs Cape Florida State Park. A stone’s throw from Miami, Bill Baggs Cape FloridaState Parkis another subtropical gem nestled between the Atlantic Ocean and Biscayne Bay. 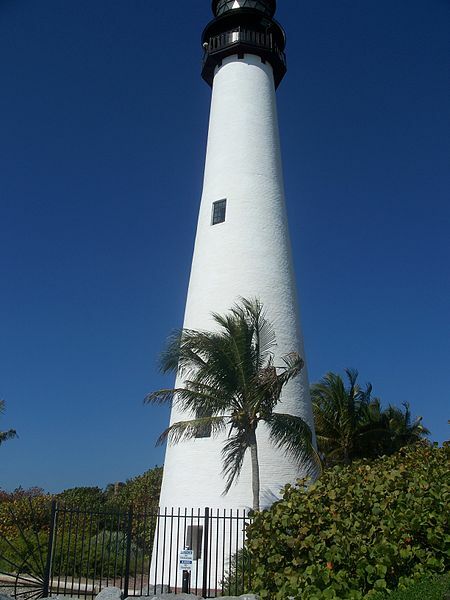 Named after the editor of the Miami News, Bill Baggs, who fought to preserve the area from developers, it includes a historic lighthouse, the oldest structure inMiami-DadeCounty, great beaches for swimming, kayaking, fishing, picnicking, and wildlife viewing. Not surprisingly it was recently voted as one of the best beaches in the country. 400 acres established in 1967. 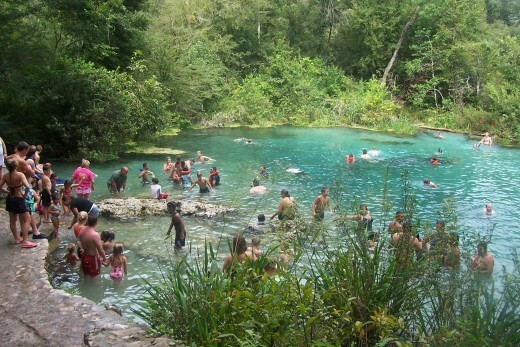 3.Blue Springs State Park. Less than an hour north ofOrlandois a beautiful freshwater spring, the largest one along the St. Johns River, that characterizes the karst topography of north and centralFlorida. 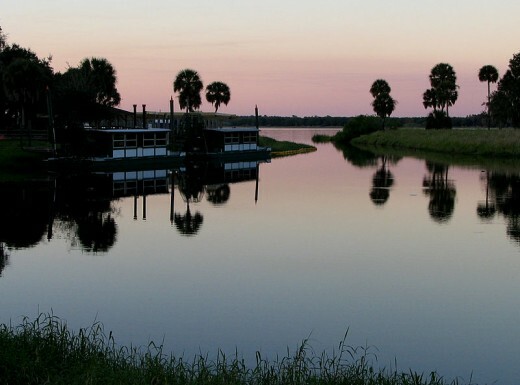 Unlike many which are heavily developed, Blue Spring is a wilderness gem and a designated manatee refuge despite the developed campground that accompanies the state park. The spring was first visited by John Bartram in 1766 although the Native Americans surely came before. Today Blue Spring is popular with snorkelers, kayakers, scuba divers, swimmers, and is a winter refuge for manatees as the waters stay at a constant 72 degrees. The springs discharge a daily 100,000 gallons of clear water and there are wooden boardwalks that run the length of this short tributary before it flows into theSt. Johns River. During winter season swimming and going into the water is prohibited because of the seasonal migration of manatees (Nov. 15- March 1). They can be viewed from the banks however. The 2,600 acre park also includes the 1872 Thursby house. 4.Caldesi Island State Park. 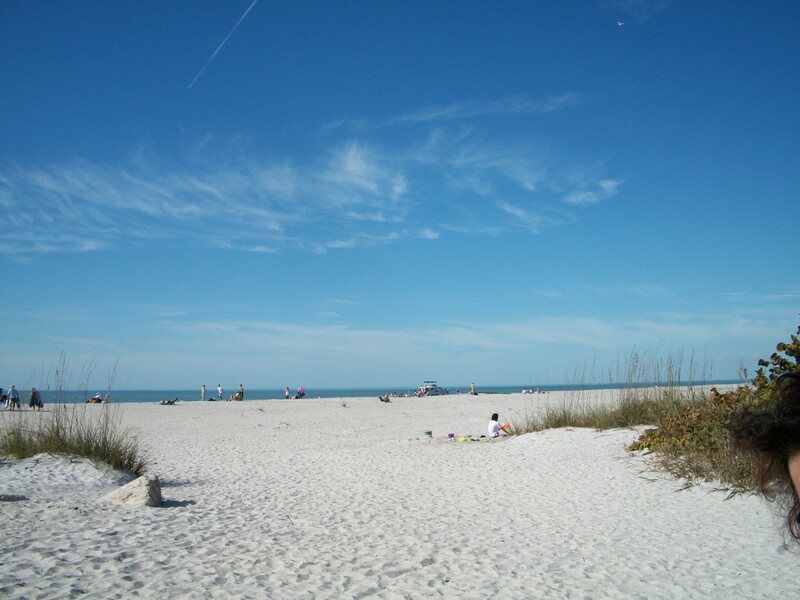 About midway down the peninsula on Florida’s Gulf Coastis Caldesi Island State Park–just north ofTampa Bay near Clearwater Beach. The water is beautiful and the state park is well known place to find shells. 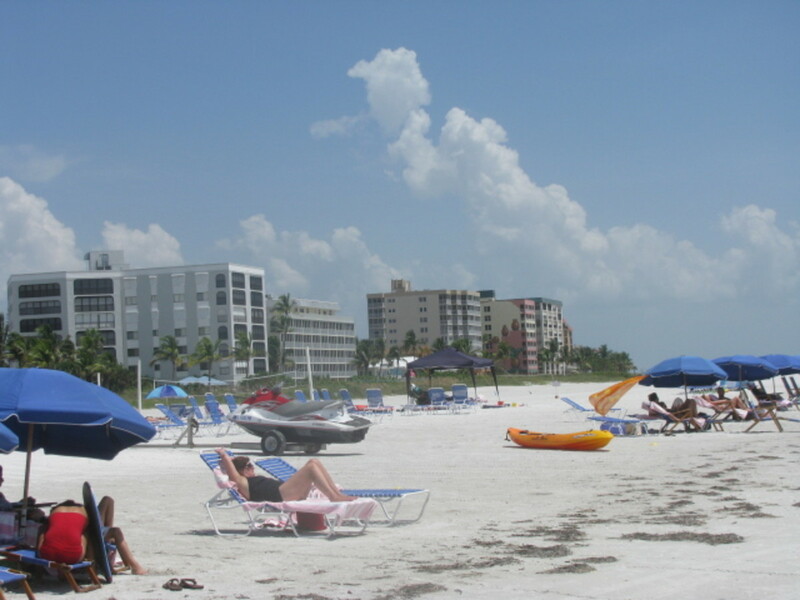 It is often listed in annual reports as having one of the best beaches in theUnited States. CaldesiIslandis reachable by ferry fromHoneymoonIsland. Picnic tables, swimming, fishing, nature trails, and kayaking are other activities on Caldesi Island and it’s not to miss for anyone visiting the area, especially if you seek a more secluded feel that doesn’t include the frontage of high rise condominiums and tourist traps. 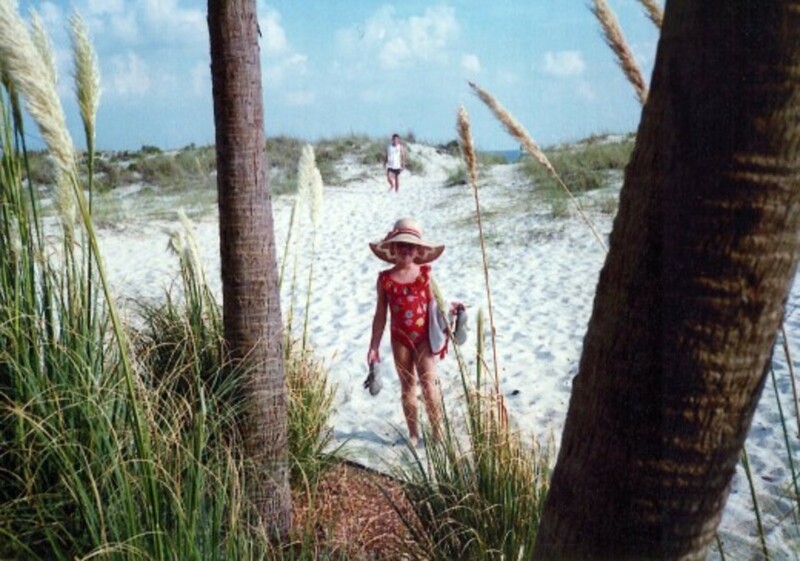 It is one of the few natural barrier island beaches left onFlorida’sGulfCoastand the nature trails offer an excellent opportunity to explore palm hammocks on this barrier island. 5. Devil’sMillhopperGeologicalState Park. Central and northern Florida have perhaps the most extensive karst topography in the United States – a region characterized by limestone and its residual features which include sinkholes, caves, and springs. Devil’sMillhopperGeologicalState Park, located nearGainesville, in northernFloridais one such place where such karst features are on full display. Covering 67 acres and established in 1974 the park’s centerpiece is the sinkhole which includes springs at the bottom of the 120 foot deep limestone sinkhole. 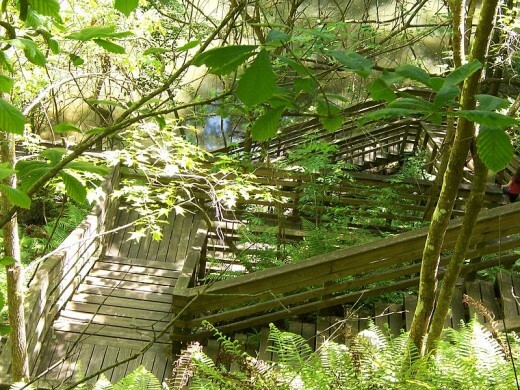 The sinkhole is 500 feet across and accessed by a 232 step wooden stairway that goes to down to this geologic wonder. 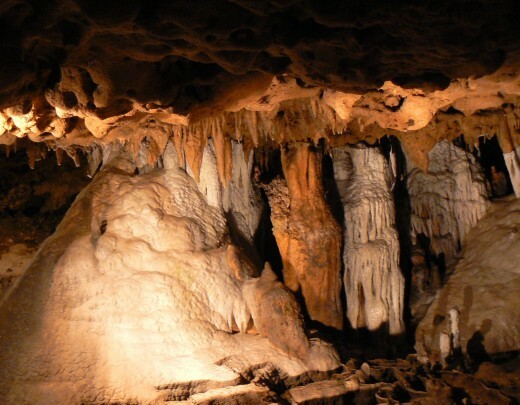 6.Florida Caverns State Park. Most ofFloridais limestone so its not surprising the state has some incredible subterranean features which include dripstone cave formations. On of the most spectacular in the state is theFloridaCavernsState Parkin the state’s panhandle. It is apparently the only air-filled cavern accessible to the public in the state – a testament no doubt to the myriad water filled caverns found beneath the state’s karst ground. Like most limestone caverns Florida Caverns features stalagtites and stalagmites along with flowstones passageways and chambers. Established in 1942 the state park has camping facilities as well as a host of above ground activities which include horseback riding, canoeing, fishing, hiking, and swimming. 7.Highland Hammocks State Park. 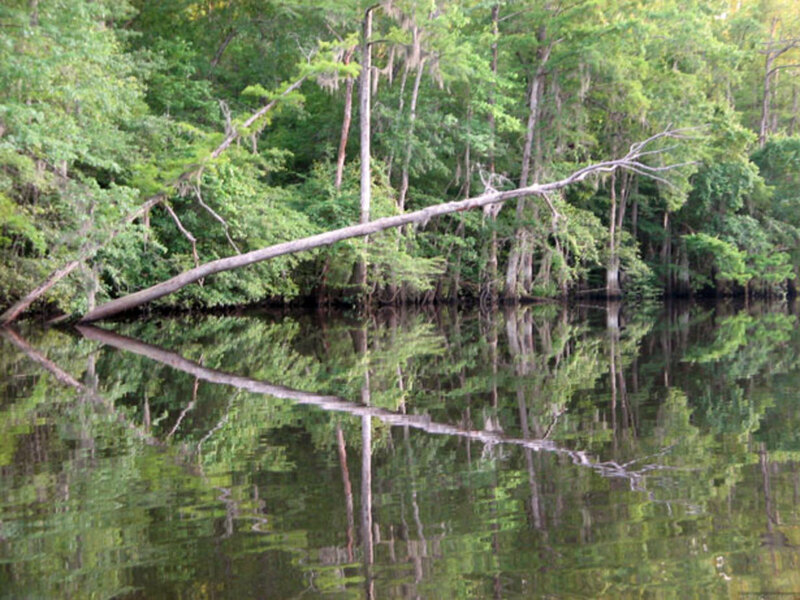 One of Florida’s older state park, established in 1931, this 9,000 acre preserve protects a beautiful old growth bald cypress swamp with elevated board walks and hammocks, which are slightly elevated areas in the woodland which form an ecological island of sorts in contrast to the lower lying and moister, if not swampy, low lying forests. 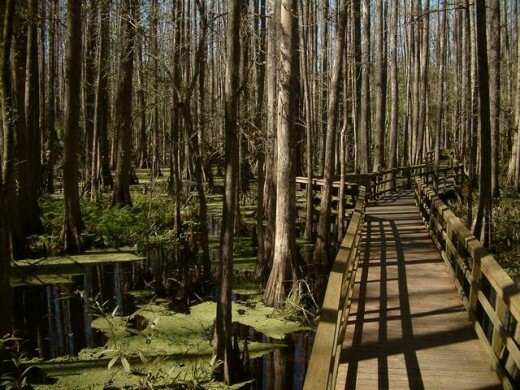 The bald cypress swamp has some remarkable old trees – some atleast a thousand years old – and one listed as the largest in the state with a girth which measures more than thirty-six feet. American alligator, black bears, bald eagles, bobcats, Ibis, and Florida Panthers are see on occasion in the park. 8. Ichetucknee Springs State Park. One thousands of springs in Florida, another hallmark of its karst topography this 2,241 acre park is a designated National Natural Landmark. Established in 1970 Ichtucknee Springs is located in north central Floridabetween Tallahasseeand Jacksonvillenot far from the junction of I-10 and I-75. Snorkeling, swimming, inner-tubing, and scuba are all very popular activites at this spring which runs at a year round temperature of 72 degrees Fahrenheit. Uncommon is Floridaare limestone outcrops which are visible in the park. There is also located the archeological remains of a 17th century Spanish mission. 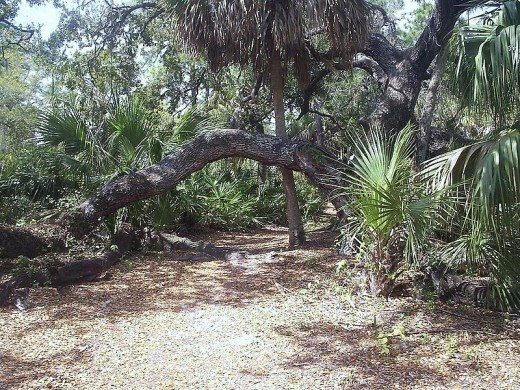 9.Myakka River State Park. 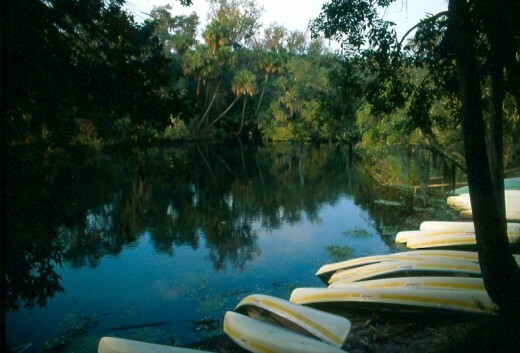 One of the state’s larger state parks (37,000 cares) located in Sarasota County, Myakka River State Park was established in 1934 and is best known for its hiking trails, kayaking, and pristine environment. The park includes a boardwalk and Canopy Walkway which allows visitors to view the forest at treetop level. The park is well known for its birds, especially the colorful Roseate Spoonbill. 10.John Pennekamp Coral Reef State Park. Arguably the state’s best known, most visiting, and most spectacular state park, John Pennekamp Coral Reef State Park is however, mostly underwater and a basic use of snorkeling, or scuba is required to view the extensive coral reefs preserved and on-display below the water’s surface. 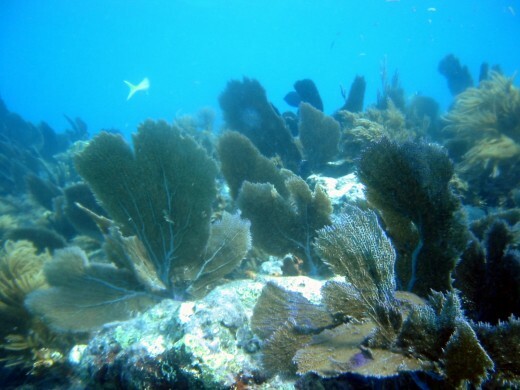 The reef is an extension of a huge coral reef that starts at Biscayne National Park and wraps around the Florida Keys. 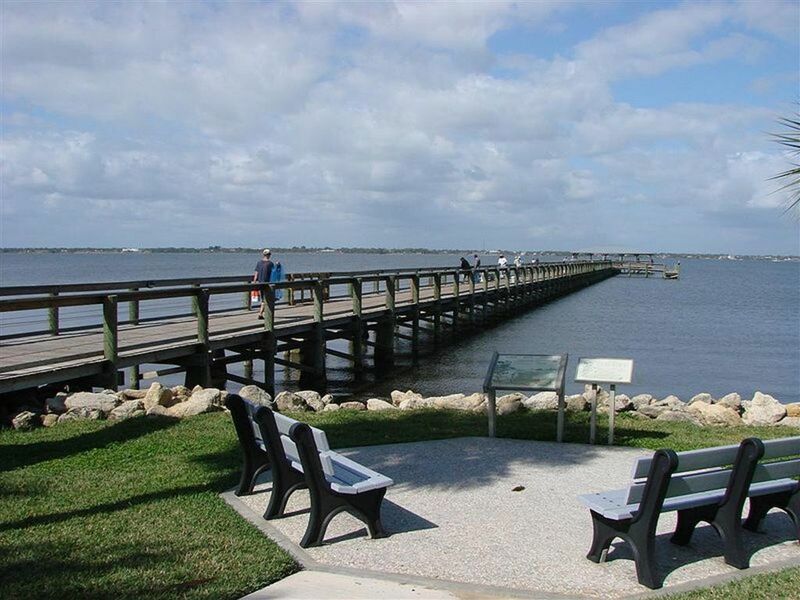 Established in 1963 the state park receives an estimated 1 million visitors annually and is accessible from Key Largo at the head of the Florida Keys along U.S. Route 1.
amberld - thanks for reading - I will have to look into Lover's Key. I also enjoyed Lover's Key near Naples/Ft. Myers a couple of years ago. Nice list! leahlefler - the springs are not to miss and they can be found in so many places north of Orlando. Many are in state parks and others are in National Forests. I hope you enjoy your visit. It is so freezing cold where I live - seeing the pictures of the beach is so wonderful! We plan on going to Florida in a year or two with our boys, and we'll definitely put the springs on our list of things to see. They look so beautiful! The springs are one of Florida's best kept secrets!